Joseph John Barmettler, William Applegate Jr.
OK, so this film is not high art. The plot is a bit thin, the lead actress is more wooden than my garden furniture and some of the dialogue is a bit embarrassing. Nevertheless, this film does have a lot to offer! Firstly, any film with C. Thomas Howell can't be all bad. As usual, he rises above his material and gives another great performance. I also found his direction to be lively and creative. Somebody give this man a budget and a script editor for his next directing foray and there will be no stopping him! The film itself is not without charm. I loved the character of Dice. The scene where he tries to fence the diamonds to a mafia boss, while he's sitting on the toilet is worth the rental price alone! Likewise, the scene where Dice's girlfriend comes up with a most unusual hiding place for bounty is a stroke of genius. 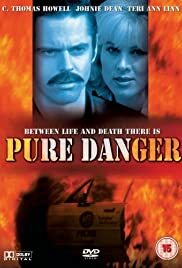 Throw in a great final car chase, a couple of completely gratuitous scenes in strip clubs and some so-bad-it's-GREAT dialogue and you really can't go wrong for a fun hour and a half of entertainment. Highly recommended for the more forgiving viewer!